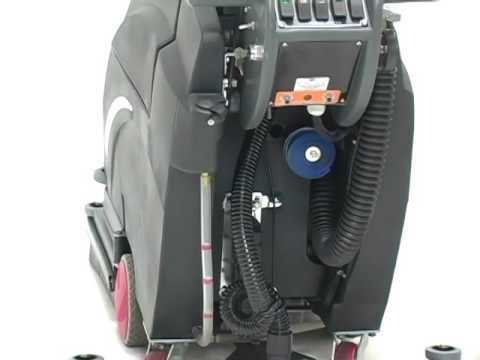 The Viper Fang 20HD is a medium-sized, walk-behind scrubber dryer suitable for cleaning floors in tough and dirty environments such as building sites and industrial areas. This machine is versatile, with variable pad pressure (up to 91kg) making it possible to adjust to your cleaning needs, for example, just add more pressure in those really dirty areas. The Viper Fang 20HD has a large tank capacity and a longer battery run-time. It has simple and easy to use controls, variable speed transaxle drive and forward and reverse drive. Please note that the Viper Fang 20HD is supplied without a battery or charger.